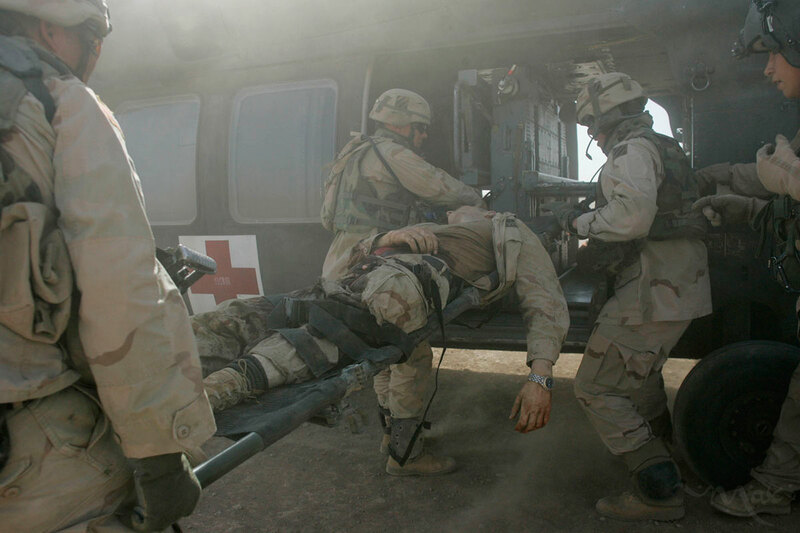 A gravely wounded U.S. soldier is loaded onto the helicopter for medical evacuation. Only one of the two reported wounded was at the landing zone as one soldier was driven to the nearby hospital. Suffering from two severed legs and an open stomach wound, medics on the ground applied two tourniquets to the wounded soldier on the scene where his vehicle was ambushed by a grenade attack.